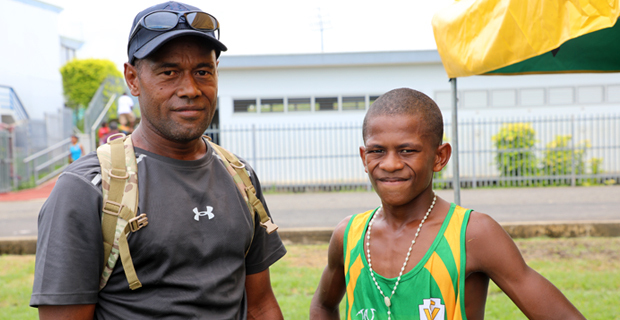 16-year-old Evueli Toaia will be looking to repeat his impressive performance at the Tailevu Zone when he competes in the Boys 3,000 metres open grade in the Coca-Cola Games next week. Toaia won gold for Saint Vincent College in the Tailevu Zone. The Year 10 student says he trains everyday by running laps up a hill, pulling tyres and swimming in the river near their home in Delaikado Village in Dawasamu. Toaia says he is ready to compete with the best from other schools and is aiming to claim his first gold medal in Coca-Cola Games next week. Toaia says he is grateful to his parents for their support and for believing in him. The 2019 Coca-Cola Games will be from next Tuesday to Thursday at the ANZ Stadium.